In Paducah Ky and Southern Il Don Wede with Heartland Funding Inc. | Heartland Funding Inc.
Don Wede: Good afternoon, this is Don Wede with Heartland Funding Incorporated. I’m here in Paducah, Kentucky. It’s November the 13th. It’s kind of cold outside. I usually shoot these outside with a selfie stick, but it’s a little cold out there today. We actually got a dusting of snow. I’m down in Southern Illinois here promoting our new area that we’re buying in, southern Illinois, Western Kentucky particularly Paducah, Kentucky and Benton, Kentucky. In southern Illinois we buy in Carbondale Il, I looked at a house yesterday in Carbondale, Marion, Illinois, Herrin, Illinois, El Dorado, Illinois, Harrisburg, Illinois. All the little towns, Vienna, Illinois, Metropolis, Illinois, all the little towns in southern Illinois. Not a big population base down here, but I do service this area. I have a home down here also so I spend some time down here, but Paducah, Kentucky’s where I’m at this afternoon and I looked at a couple houses today and Benton, Kentucky we haven’t looked in yet, but that will be an area we will be buying in. So, that’s what we’re doing here as far as expanding Heartland Funding Inc into southern Illinois and western Kentucky. 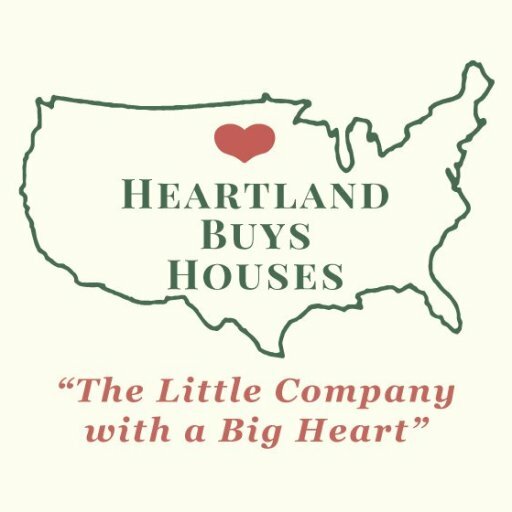 You can always get ahold of us by phone at 1-800-255-8250, and of course our website, www.heartlandbuyshouses.com. Don Wede signing off from Paducah, Kentucky. Thanks for watching the video.